Final Fantasy creator Hironobu Sakaguchi hasn't quite been able to hit the mark since forming new studio Mistwalker, but he and Nintendo are going to give it another shot. 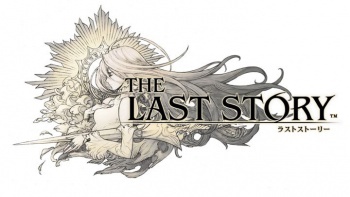 Nintendo unveiled The Last Story this week, a Wii RPG in co-development with Hironobu Sakaguchi's Mistwalker. Sakaguchi is the creator of the Final Fantasy series (not to mention Rad Racer), but left Square Enix to form Mistwalker in 2004. Mistwalker's major releases have been Blue Dragon and Lost Odyssey for the Xbox 360, both enjoyable games but neither on the level of Sakaguchi's previous works. This is unfortunately one of those situations where very little is known about the The Last Story other than name and developer. Mistwalker and Nintendo want to create a new form of RPG and The Last Story will revolve around "universal feelings held by people." The game's logo features a girl with a healthy head of hair that is holding a sword in her armpit. Is this a hint that Nintendo and Mistwalker plan to create an armpit sword fighting game, in which combat can only be performed by holding Wii Remotes in our actual armpits? If so, you all owe me a dollar. The game's name itself might say something here, as The Last Story is awfully similar to Final Fantasy. The situation is also somewhat like when the original Final Fantasy was released, which was a new RPG on a very popular Nintendo console. Sakaguchi might be ready to show the world that he's still got some pizazz left in him. A developer blog is expected to open in March, but while waiting for more information feel free to stare at The Last Story's website.